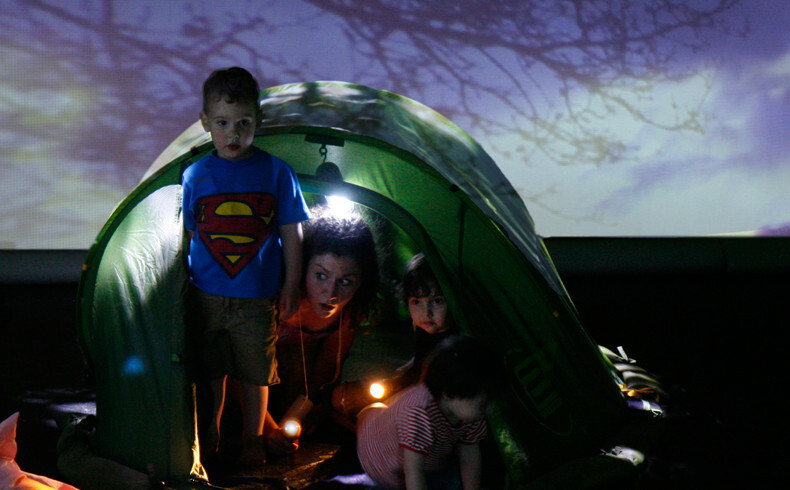 A countryside cinematic experience that encourages children to move their bodies and their imaginations onstage. An interactive audiovisual installation designed by the award-winning English filmmaker Rachel Davies. Rachel Davies is a prestigious, award-winning filmmaker from the UK whose eclectic career includes numerous collaborations with artists from other disciplines, Akram Khan for example. In 2001 she was associate artist at The Place arts centre in London, where she worked on a personal project in the context of dance and choreography.